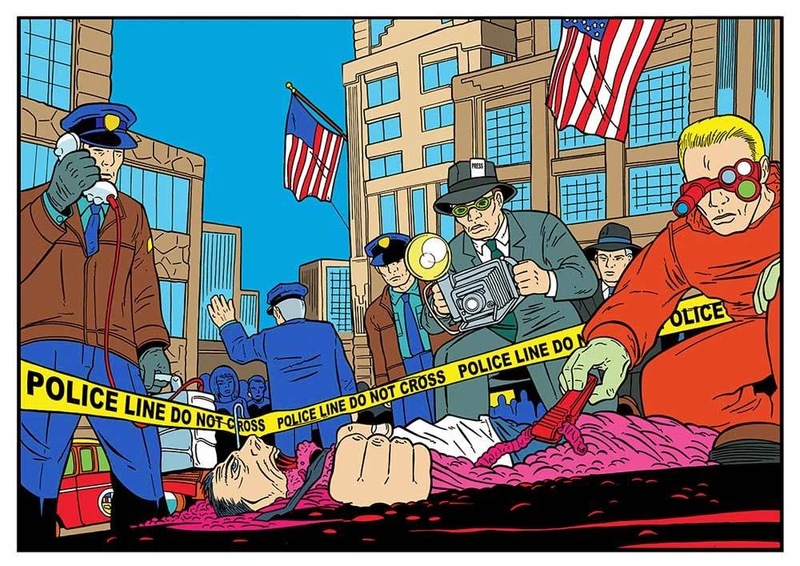 Shaky Kane is seemingly everything I love about comics, all at once. 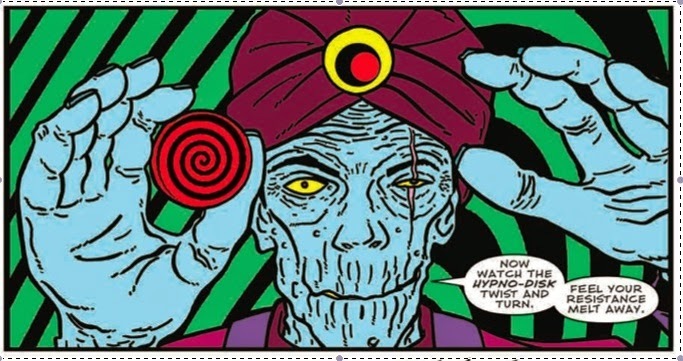 His work seems like an alternate, dark, and supremely weird version of comic's Silver Age. 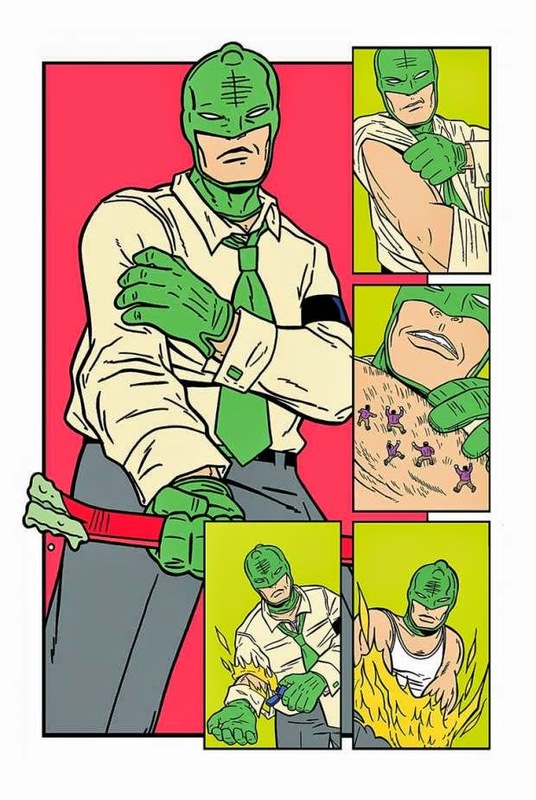 Like maybe what Mike Allred would draw if he had PTSD, lived by the cemetery, and only had access to every great B-movie ever made on a souped-up pop color television. And I mean that as high praise indeed. Kane's work with David Hine on The Bulletproof Coffin, and his solo work on Monster Truck, meant his new book was the very first thing I cracked open this week. Nothing could stop me. Nothing was going to come before, or between, me and Shaky Kane's Cap'n Dinosaur from Image Comics. And it did not disappoint. I'm admittedly less familiar with Kek-w, the writer of Cap'n Dinosaur, but if this issue is any indication of where he and Kane are taking this collaboration, then I'm on board for whatever they want to do. I just want more. I know Kek-w's written some for 2000AD and I'll more than likely dig out a few of those issues in the next few days to see just how similar they might be to this kind of tale. If it's anything like Cap'n Dinosaur then I'll add Kek-w to my must-buy list. Kek-w's writing is strong and just the right amount of strange in this first issue. The plot and characters fit in well with what Kane has delivered before and villains like Swami Midnight and an army of different sized Frankenstein's monsters are deserving of the Shaky Kane goodness. Kane and Kek-w are obviously having a blast with the pages right down to including some swank fake advertisements. And those advertisements are also infecting the actual narrative too, with Sea Monkeys showing up as characters. The layouts are full of big panels, allowing Kane to hit you over the head with over-sized colorful images. There is also Cap'n Dinosaur's lovely assistant Honey Moon, who derives her powers from the moon's lunar cycles. 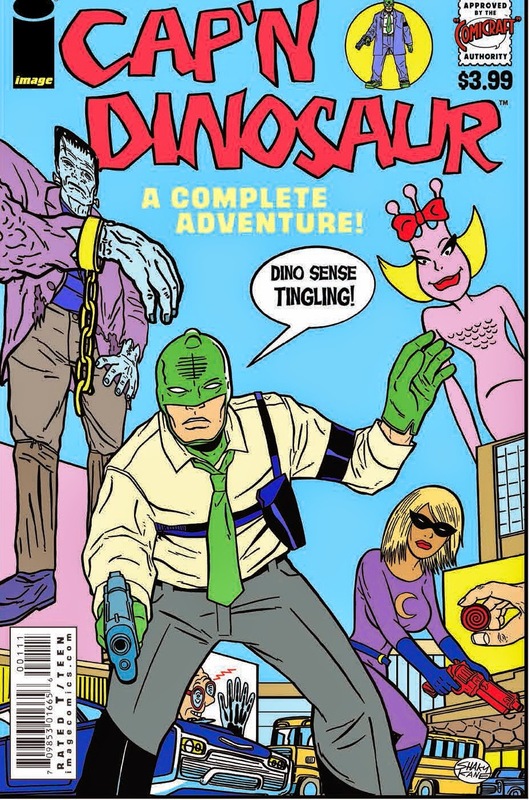 That's about all we get as to her backstory or her powers so far in this issue, and we get even less information about Cap'n Dinosaur except he has a "dino sense." What that does, and what their powers are is kind of irrelevant to me, as they're only a vehicle for more whacky, crazy adventures, and I'm ok with that. I mean, a wolfman fights Honey Moon in this issue. That's gold. And I didn't even mention Citizen Sputnik and the Carnevil of Crime! This is just a one-shot, but I hope they're able to garner a big enough audience to warrant another, or maybe even an ongoing series. Pick up The Bone-Phone and let Cap'n Dinosaur show you what comics can do.